Chairman of Taleveras DMCC, Igho Sanomi is well known for his desire to help others. Over the past couple of years, he has also shown his support and commitment to finding a cure for Cancer. Recently, Taleveras Dubai sponsored the Dining with the Stars Charity Event to support this cause. The event which was attended by Distinguished UK MP’s, Top British Executives and Sports personalities. The overall contributions of the Bobby Moore Fund in partnership with Cancer Research UK was also a highlight of the remarkable gathering. 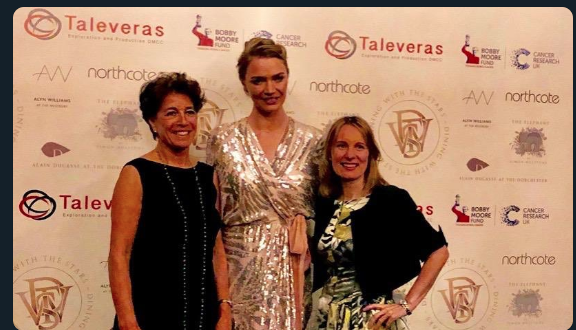 Stephanie Moore, MBE, Founder of the Bobby Moore Fund, Jodie Kidd and Michelle Mitchell/CEO of Cancer Research UK, at One WhiteHall Place, London 25th Feb 2019, Dining with the Stars. In her opening remarks, Moore expressed her deepest appreciation to Mr Igho Sanomi. So far a total of about GBP 1.16 million pounds have been raised since the Bobby Moore Fund and Cancer Research UK launched its sponsorship partnership with Taleveras DMCC. “The fund has raised 25 Million pounds to tackle bowls cancer and continues to go from strength to strength. Can’t wait to see what tonight has in store,” read a tweet posted by the Chief Executive Officer of Cancer Research UK, Michelle Mitchell who was present at the event. Michelle Mitchell is also very passionate about Cancer research and has continually urged people to find a way to get involved -whether it’s by taking part in an event to raise funds or by volunteering. However, this is just one of many ways that Igho Sanomi continues to impact lives. With the help of Mr Sanomi’s foundation, a seven-year-old boy, Ali Ahmadu was able to walk again and regain his life. Following an attack by Boko Karam militants in Chibok, North Eastern town in Borno state, Ali Ahmadu was run over and left severely injured. 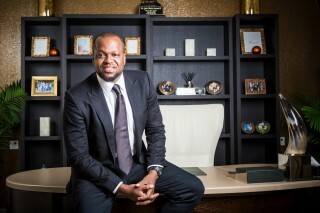 In 2015 and 2016, Igho Sanomi was successively ranked as Africa’s top under-40 business leader by the renowned Institute Choiseul for International Politics and Geo-economics and has been awarded the Prestigious Martin Luther King Jnr award for Philanthropy and Chaired the 25th Year Anniversary of the Martin Luther King Jnr International Salute held in Washington DC in 2015. 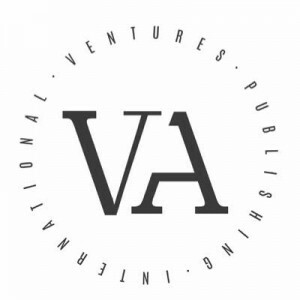 As an entrepreneur, Sanomi has also built a reputation for treading the paths less travelled. His flagship trading company Sarian Oil circa 2000, later rebranded to Taleveras in 2004 after undergoing a merger. The international Energy Group has been trading Million of tons of Oil and refined petroleum products annually, giving its trading activities revenues in excess of a billion dollars yearly.